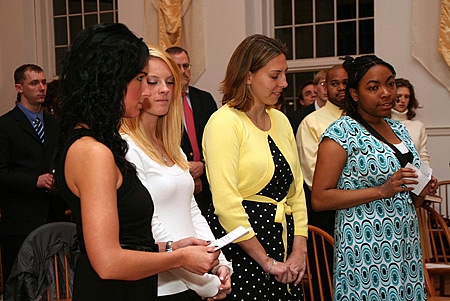 Catholic University celebrated the Easter Vigil Mass on Saturday, March 22, in St. Vincent’s Chapel. 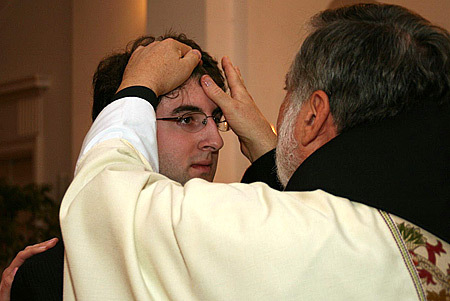 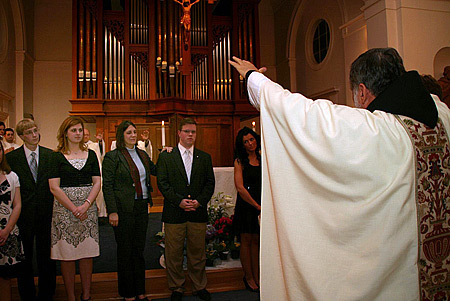 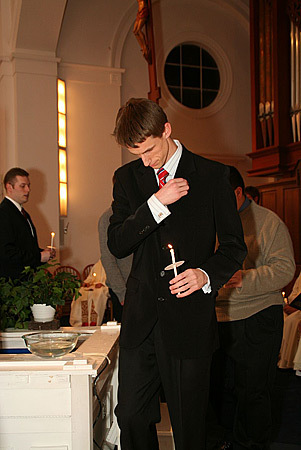 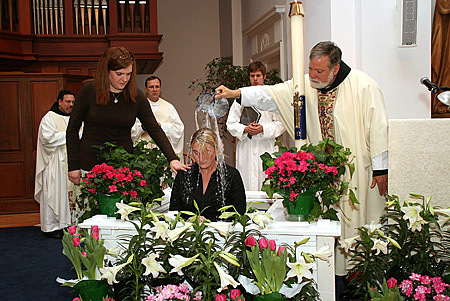 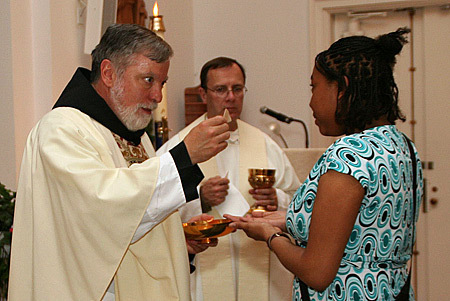 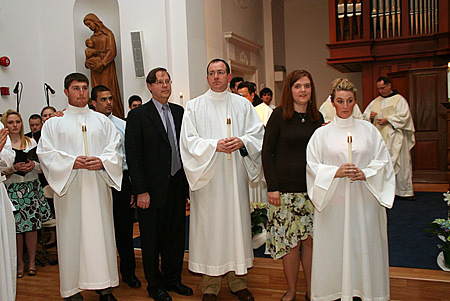 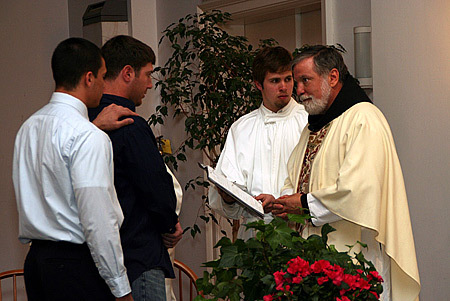 As has been the tradition of the Church for more than a millennium, at the Easter Vigil the CUA community welcomes new members into its Catholic family through baptism, confirmation and first communion, and fully initiates with first communion and confirmation those members who have already been baptized. 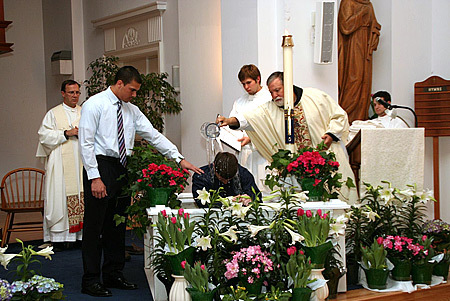 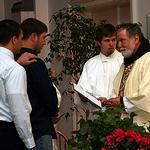 This year, CUA baptized four new Catholic members and fully initiated 10 others.